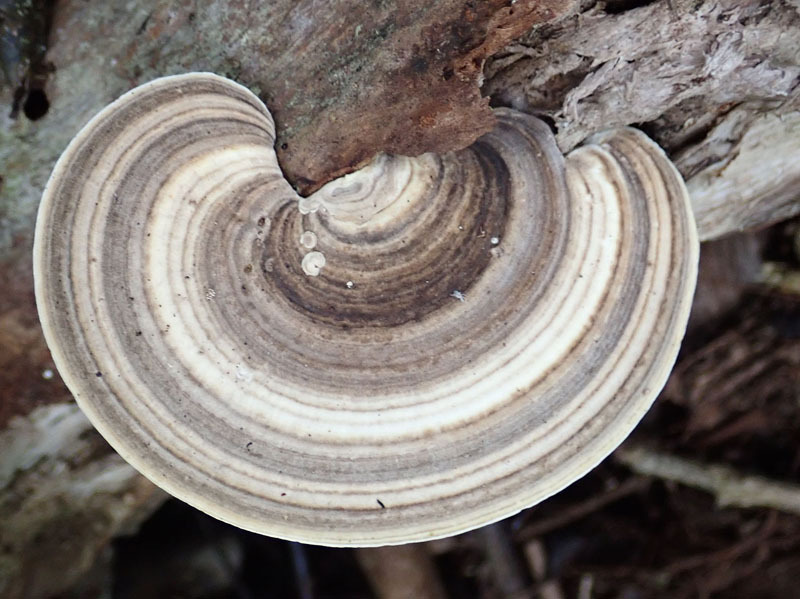 There are lots of bracket fungi on dead wood at this time of year. Many, like this one, have these concentric bands. A common and spectacular, which I have posed before, is bright orange, others are shades of brown. This relatively large example exhibits wonderful "greyscale" banding. This was taken on hike in very dull conditions. Very interesting Bracket fungi, Geoffrey. Those bands are really beautiful. A very artistic bracket it is. Well seen and nice photo.